Turkey ahead of elections has blocked Twitter as the social media platform became platform for allegations of government corruption. 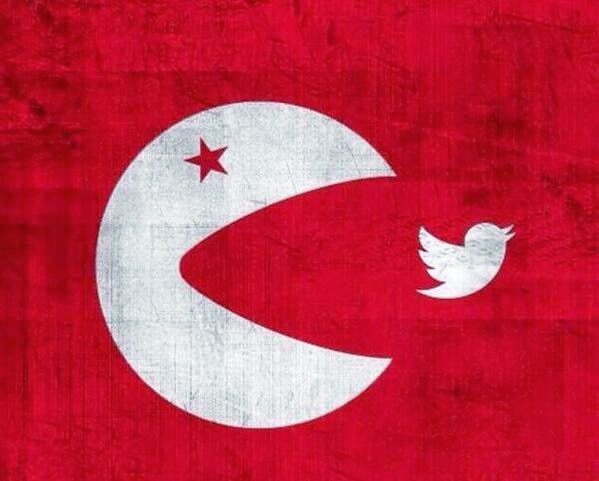 Turkey Prime Minister Recep Tayyip Erdogan has said like this "Twitter and the rest, we will root out all of them. I don't care what the international community says, they will see the power of the Republic of Turkey". This literally shocked all users in Turkey as It is one of the top 10 users of Twitter world-wide with millions of users. literally triggered a huge Tsunami as everyone has started using Google Public DNS (8.8.8.8, 8.8.4.4), VPN's, TOR.etc to access Twitter. The hashtag #TwitterisblockedinTurkey became the top trend world-wide within hours after the government blocked Twitter access in Turkey. Also Over 1 million people have started using Hotspot shield VPN client after the ban is implemented as it started trending in Twitter. The VPN Company seems to be getting benefited Big time by this Twitter Ban. According to WSJ, Twitter is currently blocked in China and has faced restrictions in Iran, North Korea, Cuba, Libya, Pakistan and Syria. If You find the post more interesting, Please Share it and don't forget to like us -Facebook.com/Technotipsblog and follow on twitter @technotipsblog for regular tech updates ! !